Ǐ was given the opportunity to conduct an independent contextual inquiry to explore an art space for potential “breakdowns” and “breakthroughs.” I had been working with The Ceramics Studio at that time in the capacity of an online marketing and branding consultant. I partnered with the manager of the studio in this effort to provide them a unique insight into their business. The following is how I approached the inquiry, how I conducted the inquiry, how I consolidated and interpreted the data, which finally led to insights. I used my learnings to inform the creation of a hi-fidelity prototype as a web-based solution to be considered as a fragment of a 360-technological solution for their business. I seized a rare opportunity in September, 2017, to conduct an independent contextual inquiry at the Ceramics Studio for potential “breakdowns” and “breakthroughs.” Because I wasn't presented a specific problem upfront, I was able to use research methodologies to explore the problem space. My goal was to subsequently propose a digital solution aimed at meeting the studio's future goals, while fulfilling the studio's current, unmet needs. My final deliverable was a high-fidelity prototype. I conducted the on-site research and interviews, performed the contextual analysis, derived the insights, narrowed down the problem and then developed the design solution. The Ceramics Studio is a whimsical studio space that focuses on throwing pots, sculpting with clay, and painting bisque pieces. The space smells earthy and sounds like community and comfort music. When you walk in, you get a sense that you are walking into a space where the real world doesn't matter and that you won't be judged for being creative here. I employed the double diamond design methodology to the project. For the discover stage in the methodology, I conducted on-site research and interviews. I also performed a competitive analysis of art-based businesses in the area. For the define stage, I created a physical heuristic model, identity heuristic model and cultural heuristic model to reflect on insights that surfaced during the research. These helped illustrate the system-flow, business model, user identities (and personas), user needs and the hierarchy of power in the studio. For the develop stage, I sketched and created a low-fidelity paper prototype for the website, had a friend interact with the paper prototype and then proceeded to ideated again. I followed this pursuit by wireframing the website. Finally, in the deliver stage, I created a high-fidelity interactive website, testing the limits of accessibility, playfulness, and utility. People enjoying the monthly Clay & Cocktail event. PROCESS: In order to learn about the day-to-day functionings of the studio, I conducted several on-site observations sessions. I was careful to choose my hours of observation in order to observe variation of activity, people and studio representation. INSIGHTS: As illuminated by the physical model heuristic under "Define", The Ceramics Studio is built strategically for foot traffic. It brings people in through enticing displays, immerses people in a whimsical environment that stimulates creativity, engages people with activities that range along a spectrum of first-timers to experts, and then delivers their brand promise by using a strong kiln-to-paper-bag system (the final deliverable is a painted ceramic piece placed in a paper bag with thank you marker-ed in) that ensures a high quality of the end product. A male studio representative, prepping clay to be thrown on the wheel. I chose to interview the studio manager and two studio representatives to gain insights into their user needs at the studio (like their motivations, job requirements, paint points, systems used and satisfaction). PROCESS: I conducted each interview in person, off-site, for an hour each. I audio-recorded each interview and subsequently transcribed it to observe nuances of language employed by each studio member. Each interviewee was compensated post-interview. INSIGHTS: This process really helped me understand the studio's dynamics, its power structure and its management's focus on community. What really shined was how largely fulfilled the workers were. They had strong family values, were immersed in their communities and had other passions outside the studio. Their needs also resonated strongly. The representatives didn't want to share tips with management as tips were the only added compensation they received. The management didn't feel like they were fully equipped to digitally market their brand and needed an online solution that wasn't too tech-heavy. PROCESS: After the staff interviews, I conducted surveys for the entire team in order to understand the worker's skillsets and interests. All the key players were generous enough to participate in my 5-minute survey conducted through Loop 11. 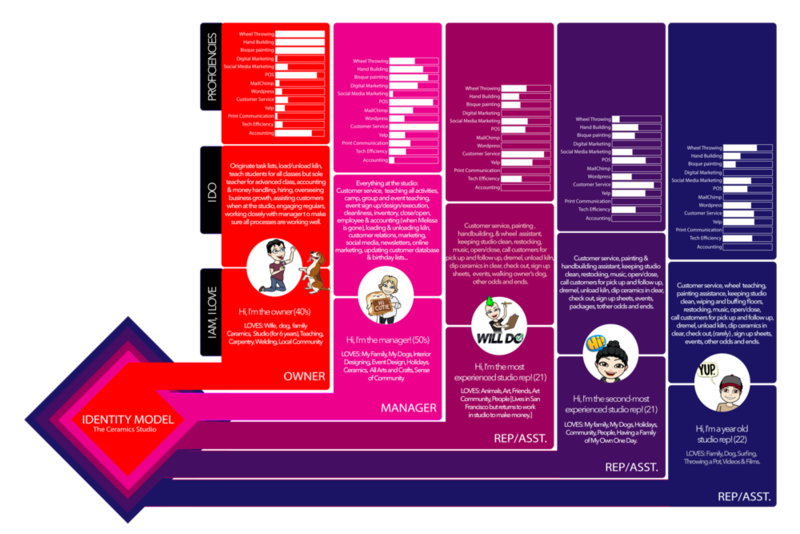 INSIGHTS: This process really helped me establish and design the identity model (as follows) of all key players, which illuminated user competency and user needs. PROCESS: I created the following contextual analysis heuristics as a means of comprehending and illustrating the data collected during my fieldwork. INSIGHTS: Provided below each model. INSIGHTS: After creating the physical model, it became evident how much brand intelligence was applied to its design and decor. The Ceramics Studio has an audacious and playful, but highly efficient layout, maximizing space for activities that bring high revenue. The front half of the studio brings customers in (especially children and families); An excellent strategy for a foot-traffic-heavy plaza and the back half is focused on delivering the brand promise. INSIGHTS: The cultural model doesn’t really provide fresh insight through the power-lenses of the studio but does allow perspective through organization of ranks. It also provided me with an opportunity to understand the large role that the owner's family played in the funding and running of the studio. Although not shown above, a need for accessibility surfaced during this reflection as the studio attracts people of all capabilities (one of the studio regulars had cognitive struggles and three other studio regulars had physical accessibility struggles) . Perhaps an iteration with breakdowns of power would be the next step after further inquiry. INSIGHTS: The identity model allowed clarity on the type of people the studio invites. All of the key players identified themselves as animal lovers, and thought of themselves as family oriented. Most key players expressed a sense of fulfillment attained from working in a community-centric business. Each employee also felt like they wore several hats in the studio. The survey I conducted illuminated the key player's skillsets and aptitude for technology. This helped me later establish that a solution for this studio couldn't be tech-heavy and would benefit being propped on a big-commerce and/or big-data platform. INSIGHTS: The user needs identity model really narrowed down pain points for the studio's key players. It also helped me zero in on what kind of a solution would fit the talents, motivations and temperaments of the staff. The holistic solution would address scheduling needs, better opportunity for growth of skill-sets of representatives, an ERP solution, and a web-based solution for digital branding, user-business interaction and marketing. Enabling the owner and staff to communicate their business' mission more effectively to a larger audience. Establishing the studio's brand image as a destination studio in Southern California. Allowing students and community artists to showcase and sell their work. Builds trust and loyal fans in the local community. Communicating the studio's ongoings in an enticing manner using graphics and video. Allowing users to take action buy signing up for classes, events or seek further information by contacting the studio. The fieldwork and contextual analysis confirmed my instinct that a central, web-based solution, preferably propped on a big-commerce platform could potentially act like a "digital basecamp" for the studio. Allow online bookings and purchases. Allow the staff and studio artists to showcase and sell their pieces online, driving the studio's profits. Empower the staff to share about what makes the studio unique, increasing the studio's digital visibility. Keep the community updated about events and classes, strengthening the studio's digital voice and community space. PROCESS: Once the pitch-deck was reviewed, I sketched out a paper wire frame. Then, I had a friend walk me through the interaction (Click on the "video" on the left to see the video). Then, I used the insights from the walkthrough to create another iteration. INSIGHTS: Wire framing allowed me to sketch possible layouts for the website where I laid out blocks of content, white space and system flow. Having a friend interact with the wireframe helped me with usability feedback. This tested several important points such as readability, effectiveness of action items/click-points, overall comprehensibility of the site amongst others. This process highlighted a need for a "try me" option for the business model, as the prospect of creating ceramics might be intimidating to several users. It also helped me hone in on the order of pages and the need for a quick-scroll button. After two repetitions, I started on the digital low-fidelity prototype. Click on the button below to view the wire frames. PROCESS: I created a low-fidelity prototype on sketch and Photoshop, focused on incorporating the insights from my paper prototyping. I established here that I wanted to test out a playful and "larger than life" style incorporating large buttons and graphic-heavy content blocks. FEEDBACK: I got 2 industry professionals and 3 students to provide me feedback to my wire frames. People were intrigued by the styling of the layout and were curious about how color and graphic content would look on the final piece. My experiments with large fonts and buttons brought about opposing feedback (they loved it or hated it). The biggest pain-point seemed to be scrolling but my counterargument was that the graphics heavy layout would keep viewer interest and the availability of buttons would allow people to quickly reach the solution to their inquiry. The website should be colorful, playful and "larger than life". The owner wanted it to feel like "wonderland". It needs to have a large e-commerce plugin. It should focus on community, students and artists. The experience should extend with social media & a studio blog. The website should be accessible and easy to read. It should have student login & account portal. The next step for this project would be to run usability testing. I would run remote usability testing of at least 100 participants, run more insightful qualitative testing of at least 3 people and then iterate. The iteration process would be interspersed with cognitive walkthroughs to assure great system-flow. Then would come the creating of final graphic content and copy, retrieval of relevant resources and the compilation for the live site on a big-commerce platform (tied to a blogging platform). I would finalize that with sourcing some custom-coding to ensure optimization, SEO, etc. The research process taught me how to investigate user needs through contextual analysis and then incorporate it into informed design thinking. 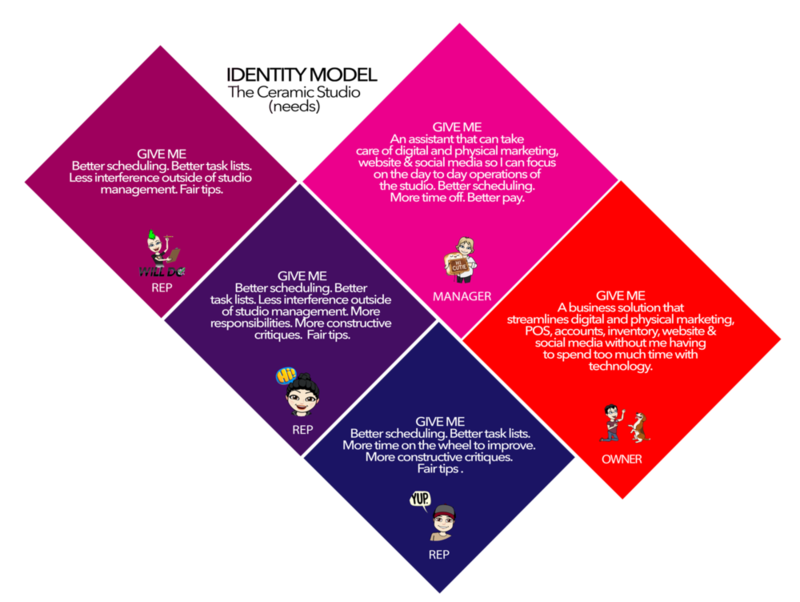 The observation, interviews and a follow-up survey created context, introduced key-player motivations, addressed user needs and allowed me insight into the work and money flow in the business. The cultural lens helped illustrate the threshold of authority and the gatekeepers in the business structure. The follow-up survey expressed how key-players reflected on their own value in the business. 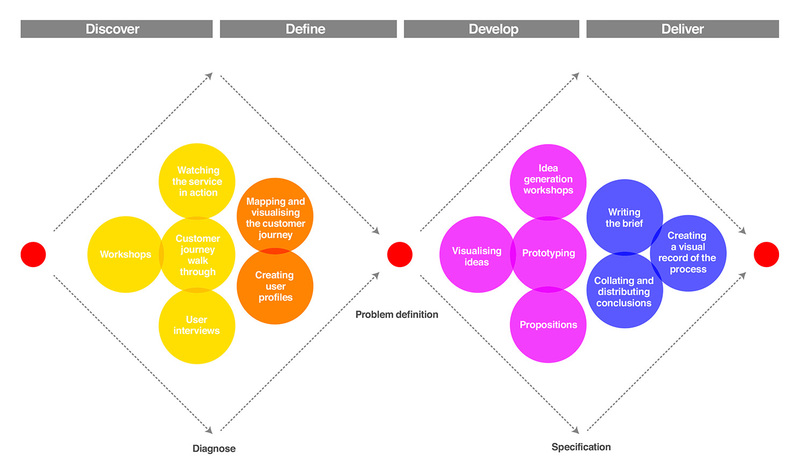 UX Design strategy allowed me to move through stages in prototyping, using feedback as a guiding force. By creating initial low-fidelity wireframes, I was able to quickly design, get feedback and re-iterate, allowing for staggered improvement through the initial models. The digital wireframe allowed clarity on major design decisions such as whitespace, composition, color and content. Upon creating the hi-fidelity prototype, I was forced to reflect on transitions, animations, error messages, site feedback and usability. This project wouldn't have been possible without the cooperation of the Ceramics Studio's team. Their openness to share and welcome me on their premises allowed me to use all my design and research faculties to the fullest.